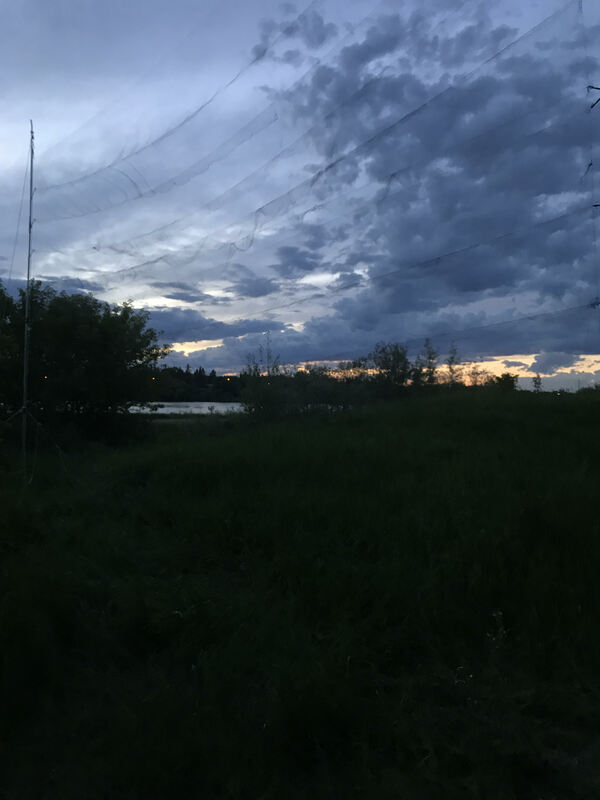 It’s bat week, Oct 24-31, and we at the CWHC Western/Northern would like to share some of our bat-ventures that have taken place in Saskatoon, SK over the summer. 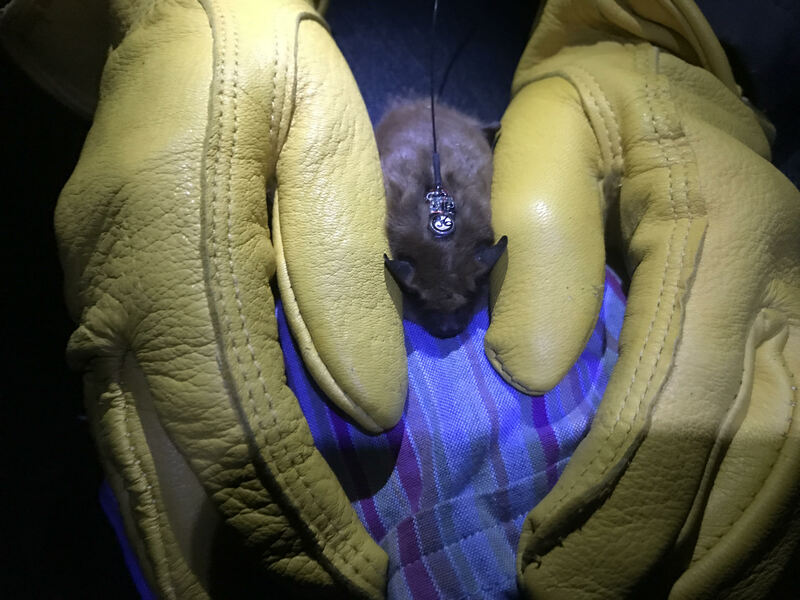 Investigators were trapping big brown bats throughout the cities’ parks in an effort to better understand the health and disease dynamics of this common species. Bats were trapped in flight using mist nets and had several biological samples taken before being released. Several bats were outfitted with radio transmitters to locate their roosts. Big brown bats are unique in that they readily take advantage of man-made structures to rest during the day. They are less disturbed by noise and light than other species and are very successful in cities, where they help control insect populations. It is estimated that 150 big brown bats ingest approximately 1.3 million insects annually. Big brown bat fitted with radio transmitter. The research project was focused on the types of colonies female bats form during pregnancy and lactation and how this relates to the numbers or occurrence of detectable disease. Unfortunately the only bats caught throughout the summer were males, which may share the same roosts as females but pick different sites in the same structure for specific climatic factors. 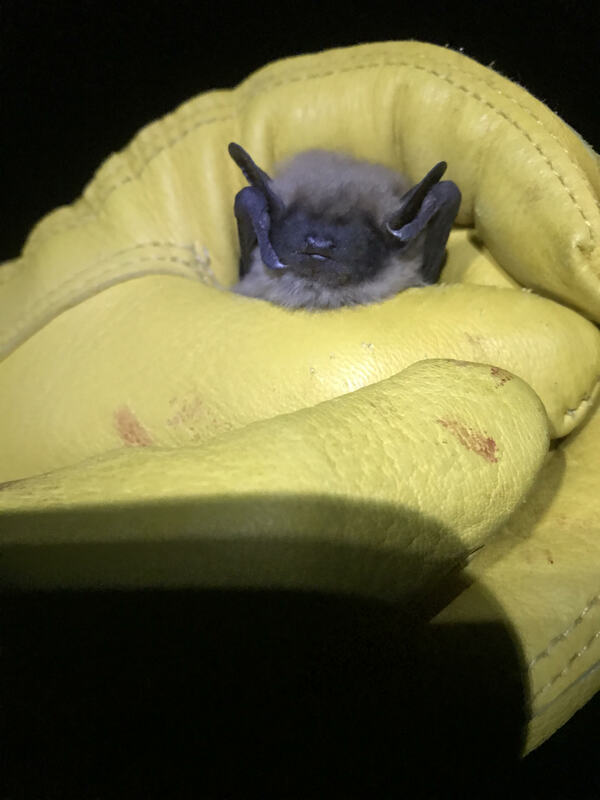 Additional research activities will examine the history of rabies in big brown bats submitted to the CWHC from Saskatchewan and a survey to determine if they are a possible reservoir for a bacterial organism which can cause disease in horses (Neorickettsia risticii). Big brown bat in hand. Not only are bats of interest because of the variety of diseases they host but also because of their ecological roles, importance to the agricultural and forestry industries, and recent population declines. A parasite of the North American river otter: Potential cause of blindness in burbot? finally after several years, we had again at least one or 2 bats at our house this summer. When looking into the bat house they seem healthy so far.